Golf Canada, along with leading fan engagement company Stadium Digital, today announced the re-launch of golfcanada.ca. The new platform introduces the roll out of a responsive national website network across Canada’s provincial golf associations, beginning with albertagolf.org. The digital home for the national sport federation is the go-to destination for millions of Canadian golfers and 1,400-member golf clubs across the country. Developed and powered by Canadian sports technology leader, Stadium Digital, the bilingual platform features a dynamic new content hub to share Canadian golf news, information and highlights of Golf Canada’s slate of championships, programs and services for golfers and member clubs. The sites also feature original content to showcase the next generation of Canadian rising stars as well as informative articles for golf enthusiasts from coast to coast. The digital network development was supported in part by a grant through the Canadian Olympic Committee’s (COC) National Sport Federation (NSF) Enhancement Fund. The program was devised to assist NSFs in the creation of efficiencies and enhancements that could benefit other sport federations. “We are thrilled to see Golf Canada develop this innovative digital network to engage with golf enthusiasts across Canada,” says Chris Overholt, Chief Executive Officer of the Canadian Olympic Committee. “The insights learned through this initiative can now be shared with other national sport federations who look to build their own platforms. This is a great example of how sport organizations can work together to strengthen the system as a whole”. The infrastructure, hosted on the Microsoft Azure Cloud Platform, allows for a streamlined interface for users across devices. 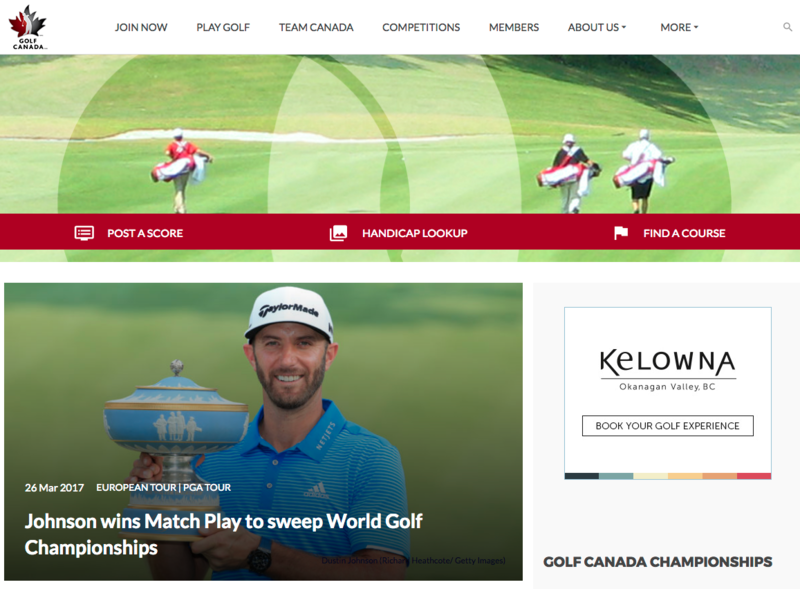 While all Golf Canada digital content lives on a single network managed by Stadium Digital, the infrastructure allows provincial golf associations to customize the look of their sites and develop their own unique content and sponsorship opportunities to serve local golfers and clubs. Stadium Digital has confirmed that work is already underway to build other Canadian provincial golf associations into the platform and that they are ultimately planning to extend the model to other national sports associations.